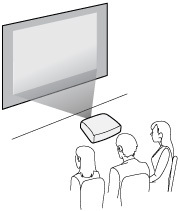 Wherever you set up the projector, make sure to position it squarely in front of the center of the screen, not at an angle, if possible. 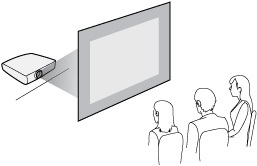 If the projector cannot be centered in front of the screen, use lens shift to reposition the image instead of using keystone correction for better image quality. 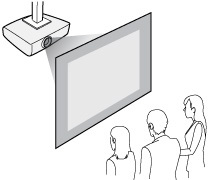 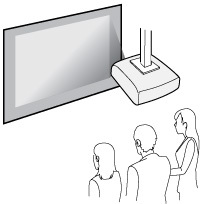 If you project from the ceiling or from the rear, be sure to select the correct Projection option in the projector's menu system.